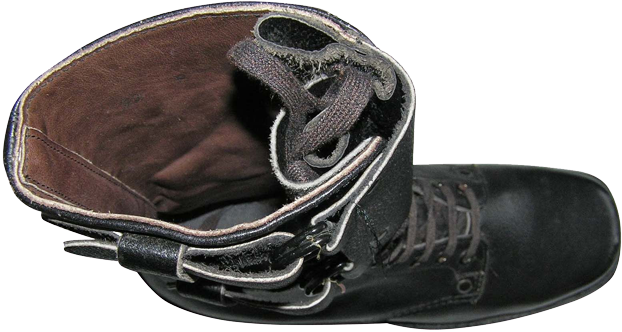 On the model c) the lacing system was provided by seven pairs of identical simple round eyelets with round-shape rivets. 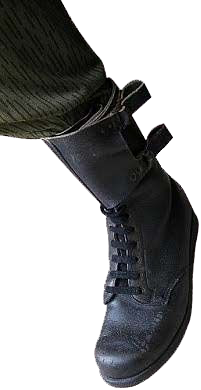 The inner part of the leather cuff on the upper of the boots is black again, not gray. 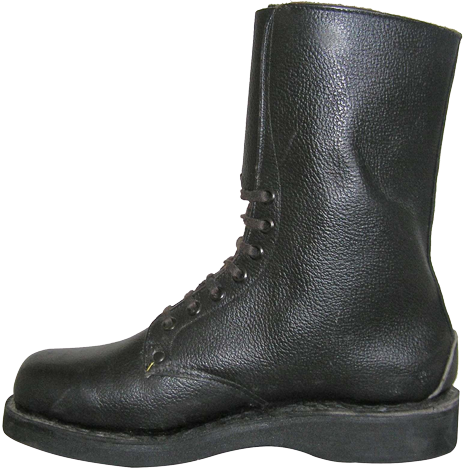 The picture of the model 3 type c) boots, standing on a box, shows the markings of one of the East German factories, that had been producing these boots. 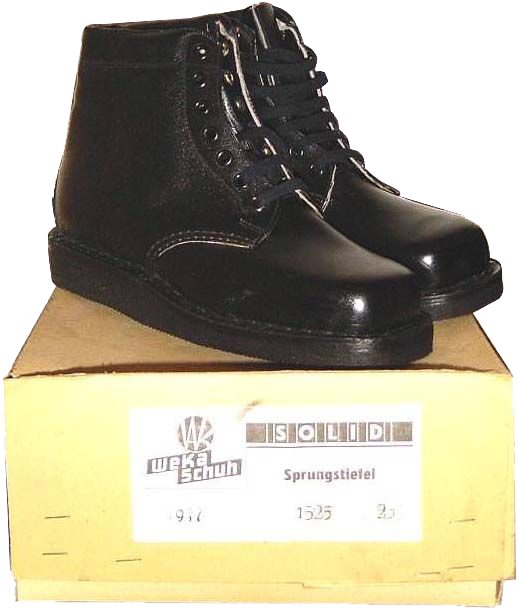 The fourth model of the GDR jump boots, which was produced from 1975 to about 1985, belong a different kind of boots - high boots. 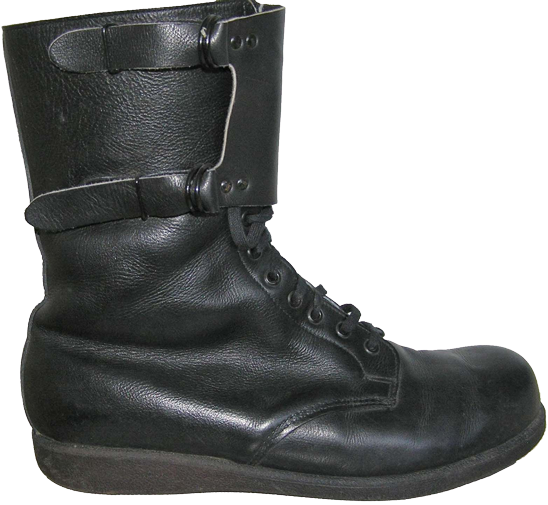 Similarly to the previous (third) model, these boots feature the semi-circular pad on the counter for reinforcement and robustness, and in addition the leather cuffs with two D-shaped locking buckles were used, recalling the system used by Czechoslovak M-60 boots. 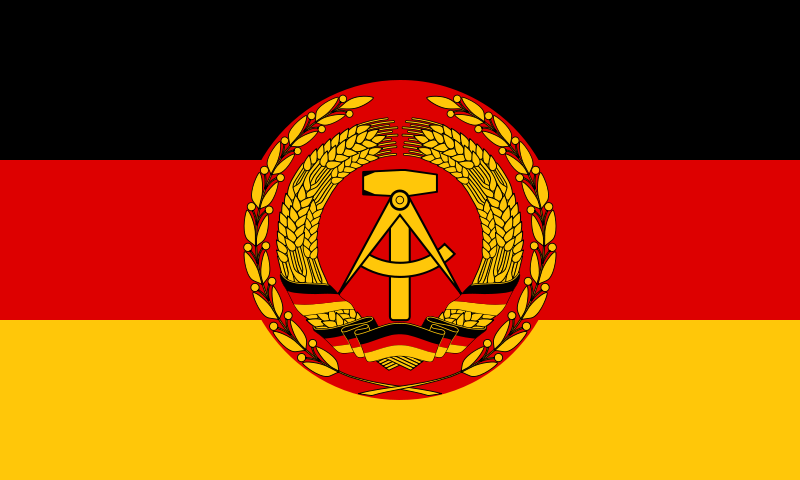 The ends of the leather straps were to be inserted into the stitched leather clutches. 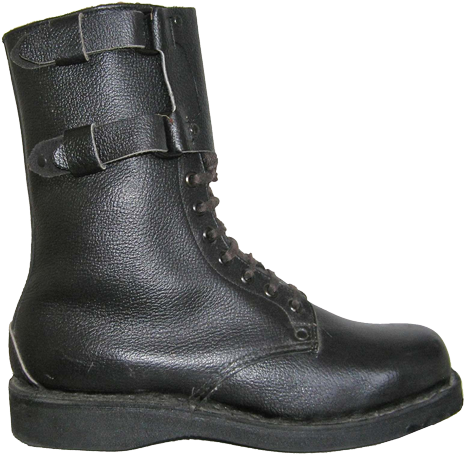 The lacing system remained the same as in the previous model - seven identical round eyelets. 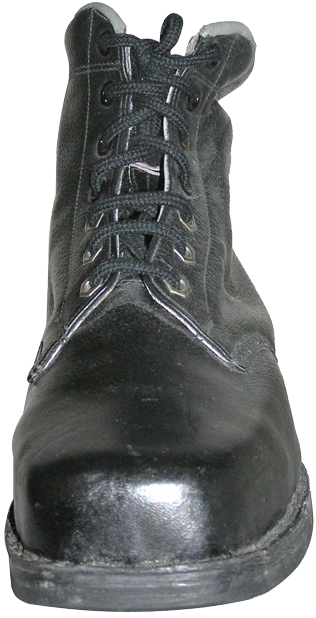 The lacing system was reinforced by a pair of rivets alongside the lower part of the lacing. 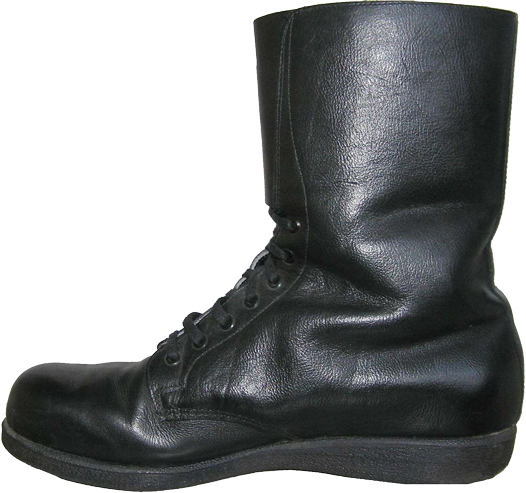 The leather top was made of grain cowhide leather with a hydrophobic impregnation, the flap of the tongue was closed - almost sewn to the top of the boot, and the inner lining was made of thin light brown leather.